In December 2014, the Holy See issued a ground-breaking paper entitled Nuclear Disarmament: Time for Abolition, which said, “Now is the time to affirm not only the immorality of the use of nuclear weapons, but the immorality of their possession, thereby clearing the road to nuclear abolition.” This year marks the 70th anniversary of the first use of nuclear weapons in war – in the bombings of Hiroshima and Nagasaki. A week ago, July 14, 2015, a significant agreement between Iran, the P5+1 (the 5 permanent UN Security Council Members – China, France, Russia, United Kingdom, United States – plus Germany) and the European Union was reached. This is an important diplomatic accomplishment and is a critical step toward nuclear non-proliferation and, ultimately, nuclear abolition. 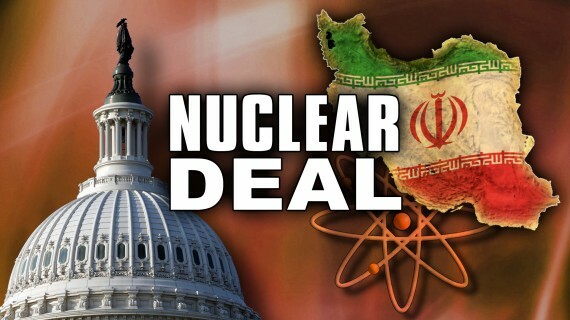 It is imperative that the Iran deal enter into force without obstacles created by the U.S. Congress. We must clearly express our support for the agreement as an important diplomatic accomplishment that will make all of us safer. Congress has until mid-September to reject the deal, otherwise it will go into force. Make an appointment to meet before Labor Day (September 7) with your senators and your Congressional representative to express your opinion about the Iran deal with a group of Pax Christi members, supporters/members of religious orders, JustFaith graduates, etc. It may be possible to meet the senators/representative in person, or with their senior staff, when they are home for the August recess. Use the talking points listed below to shape your message. This is not an appointment to discuss the merits of the agreement, but ask the Congresspersons/staff if they are able to support the deal. Pax Christi International’s statement on the Iran deal, available here. The Holy See’s paper on the immorality of possessing nuclear weapons, available here. Letter from Bishop Oscar Cantú of Las Cruces, NM, chair of the USCCB’s Committee on International Justice and Peace, available here. Make an appointment with your bishop if you have not already done so. Assume that he has seen the letter from Bishop Cantú on the Iran deal and the Holy See’s statement on nuclear abolition, but in case he has not studied them, bring him a copy and ask him to encourage every parish in his diocese to highlight these important statements from Catholic leadership. Also give him a copy of Pax Christi International’s statement on the Iran deal and a brochure from Pax Christi USA. Urge him to become a member of PCUSA and to contact his Members of Congress himself. Send a letter to the editor of your local paper urging your senators and representative to support the Iran deal. Use the talking points listed below to shape your message. We ask that ANY action that you take to meet with your Congressional Representatives and/or your local Bishops be reported with the results to Sr. Anne-Louise Nadeau, Program Director, at anadeau@paxchristiusa.org by Sept. 7, 2015. This collaborative effort is sponsored by the Maryknoll Office for Global Concerns, Sisters of Mercy, Columban Center for Advocacy and Outreach and Pax Christi USA and Pax Christi International. We thank you for your willingness to participate in this important effort toward nuclear disarmament. In my retirement I am riding my bicycle across the USA for Peace and Environmental Justice. I left from Marin County, just north of San Francisco, to LA on Memorial day, and then on June 15 headed east toward Washington D.C. I have ridden over a 1,600 miles and climbed more than 40,000 feet of mountains. I am writing to you because I found your info through RootsAction .org and thought you would be interested. I will be traveling Oklahoma, Kansas, and Missouri the next few weeks and hope to arrive in DC mid to late September. Most of my posts are to let friends know that I am still going but often enough I write something germane to my mission. Please feel free to contact me if you have questions. I would love to hear from you. My phone number and other contact info can be found at the end of my mission statement, Why I Ride.